From Goodreads.com: With no means to support herself, Ellie Kilmer agrees to work as a housekeeper for the young widower who lives on Dillon Island, hopeful she can obtain a proper reference. But Jackson Smith quickly realizes that Ellie's presence may solve his own problems--both the rearing of his young boys and the scandal that surrounds his first marriage. 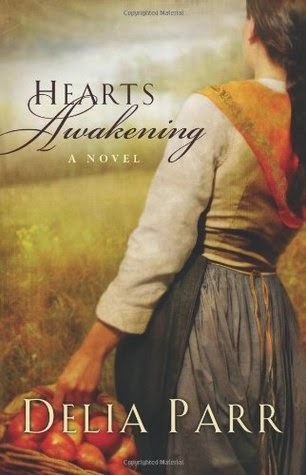 My Review: I originally found this novel for free under the Historical Romance section, so was very surprised to learn that not only is it a "historical romance", but it is also a "Christian romance" as well. While that in itself doesn't bother me, there were enough "other issues" that caused me to give it a 3 star rating. First, lets focus on the positive aspects of this novel. The characters were very well written. Ellie was strong willed, and forced to choose between accepting this unconventional proposal, or being stuck with her cousin and his wife (who made it no secret that they did not like having her around). Jackson was a tortured soul who had not only lost his first wife in a scandal, but whose faith was also severely lacking (not to mention his heart belonged to another woman entirely). His sons were even well thought out and dealing with the loss of their mother in their own ways. The oldest Daniel, reminded Ellie at every turn of her short comings ("Mama never did this"), while the youngest Ethan, had not spoken a single word to anyone since his Mother's death. I thoroughly enjoyed the characters and their plights. Now on to the negative aspects. Even though Jackson was dealing with many things (as stated above), I found him to be a real jerk. He constantly jumped to conclusions with Ellie, even going so far as to throw coins at her feet and order her out of his home for "disobeying" him, even though he didn't know the dire circumstances that lead her to react the way that she did. Also, it seemed as though their relationship was too "rushed" at the end. Perhaps it was just me, but when there was little to no real "romantic" moments or "tender feelings" through 90% of the book (especially when Jackson himself refers to Ellie as plain, and does nothing to dispel the rumors that he married her because she wasn't the type to attract a man's affections), when the ending finally happened, I felt like I was missing something important. I feel there should have been more of these moments leading up to the ending, especially since the arrival of another key player could have lead to some tense and interesting moments above what was written.